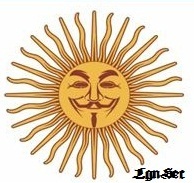 Good morning, AnonInts. Today's lesson in #solidarity with #FFF is an overview of the FBI's famed "Floating Box" system, now adopted by most law enforcement surveillance units nationwide. Since it is counterintuitive to what you might imagine about police surveillance, I hope you will find it useful. Tomorrow's lesson in Fieldcraft will be the start of a new segment- Cryptanalysis. 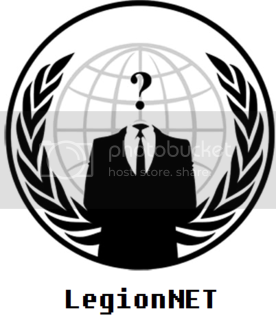 I will aim to teach you a cipher that individual AnonIntcells can use with little advanced knowledge of such things. This cipher cannot be broken, not even by federal decryption software, and can only be read by the posessor of the key (which will be unintelligible to anyone who doesn't know the method and values of the encyption. Best of all, it's quick simple. Great Justice.The Floating Box: Stake-outs (Static Surveillance) are only used to determine a target's initial routine, and keep watch on potential hotspots of deviant activity. There is far more to surveillance than local pigs or their dogs sitting at the end of the street fake sipping coffee and pretending to be doing something else than surveilling. Surveillance professionals are mostly interested in what you do when you get outof your vehicle. As such, the basic framework of modern vehicular surveillance is to keep watch on you and track you until you get out of your vehicle, and your location can be fed to ground surveillance agents dropped off by vehicles in the convoy ahead or behind you. Once they've figured out your usual routes, they can hand off between box teams to make it more difficult for you to detect that you're under surveillance. Lookout vehicles will be placed at decision points along your route, to relay information to the box about which ways you are turning. All in the efforts of leaving no 'gaps' in their coverage of you. Depending upon the level interest they assign you, you may be followed or watched 24/7. I say the system is counterintuitive because they don't just follow, they 'lead' you too.It Goes Like This: During a surveillance operation, one agent is in 'command' at all. This is referred to as 'having the eye.' The command vehicle tends to be behind you, but in a floating box the eye passes frequently. Behind you as well will be backup vehicles. Riding along the border are outriders, to ensure you don't slip the bounds of the box. Most importantly in front of you there will be advance vehicles. This allows the system to work on the ground, since if you've been bugged they already know where you're going, and can be there before you. When You Stop: When a target makes a stop and exits their vehicle for a prolonged amount of the time, the vehicle surveillance team takes up position around them. A trigger car will take place with direct view, ready to signal to layup vehicles which way the target resumes driving in. The layup in front of the target will become a 'cheating' command vehicle. It's cheating because it's in front. When another vehicle is in place to turn behind the target, it will assume command and the 'cheating' vehicle will turn off. The box is then reconstructed. At Key Intersections: At known key intersections along a target's route commit vehicles will be placed off the road or in parking lots to signal which direction the target chooses. The commit vehicle signals a layup from a nearby street sufficiently away to not be seen by the target until it is in full motion. This way the target won't see someone pulling off to follow them, they just see 'ordinary' traffic flow. Tricks: If you're slipping out of grasp of a surveillance box several things can be done while the box is collapsing back on you. BuCars are equipped with stall switches and will 'stall' out to delay you, but local pigs will just have someone 'drive idiotically' in front of you to delay you until the box reforms.